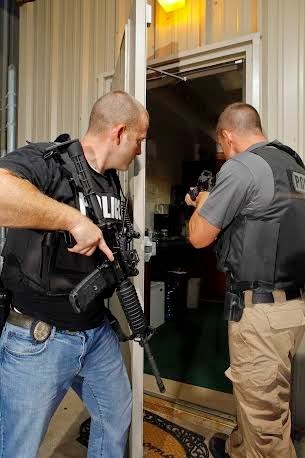 In the past year or so, there have been a few references in our blog posts to the potential benefits of being "grey"-meaning that in appearance and conduct, it can be a good idea not to call attention to oneself, especially in regard to the possession of firearms (whether on your person or on your property). A couple of companies that produce high quality products have introduced weapons carrying cases that can allow you to transport weapons safely and properly without drawing unnecessary or unwanted attention. In this post, we will highlight three quality gun cases that can provide you this capability. 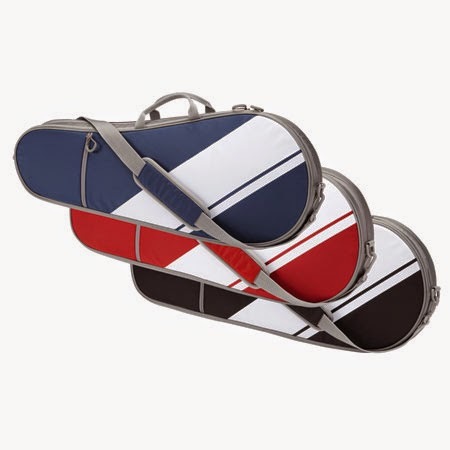 In terms of being "grey", the Blackhawk Diversion Racquet Bag is hard to beat. There is nothing in its appearance that reveals what may be on the inside, and at a M.S.R.P of around 70 bucks, the price is great. The main drawback is the size. Unless you have an SBR (short barreled AR-15), you will have to carry your complete upper and lower receivers separated. If being discreet is of ultimate importance, this feature may be a positive rather than a negative. Like just about anything having to do with the AR-15, your decision has to be based on your primary application. It is available in 3 different "non-tactical" color patterns. 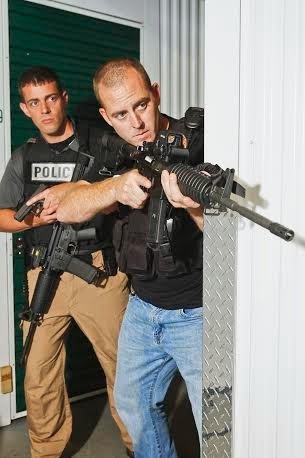 Hazard 4 makes high end, outstanding quality tactical gear, but their Battle Axe rifle case doesn't "scream" tactical...instead it may make most people think you are headed to a gig or practice session. You should be able to purchase one online for less than $200.00; while it may cost considerably more than the other cases highlighted in this post, it also provides considerably more storage capacity for other essentials. Also, if you need to be able to access and employ your complete weapon quickly, it affords you the ability to do so. It is available in black and a coyote color. 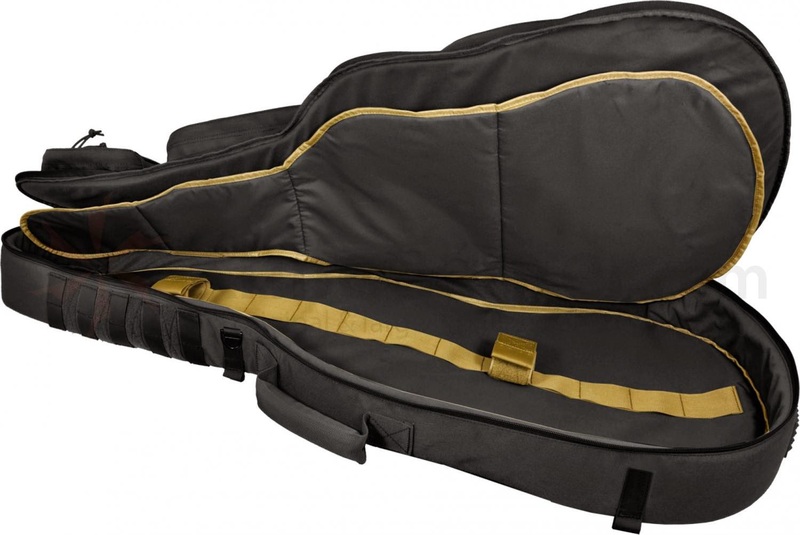 If being discreet is your primary concern, I would opt for the black, since there are few musicians pursuing their dream with an instrument enclosed in a modern-day, tactical, global war on terror gig bag. Finally, the 5.11 Tactical Covert M4 bag is also worthy of consideration. Unless your AR-15 has a long fixed stock and a barrel longer than 16 inches, this case allows you to carry it with the upper and lower assembled and ready to go. Due to its intended compact size, it doesn't have a lot of accessory storage capacity, but nothing about it says, "Hey, there's an evil gun in here." While the Covert M4 doesn't have the storage capacity of the Hazard 4 Battle Axe, and in my opinion is not as covert as the Blackhawk Diversion Racquet Bag, its non-tactical appearance and ability to house a complete, standard M4 allows it to accomplish a lot, and do so discreetly. Its pricepoint is in between the other two models mentioned, at around $140.00. If you prefer not to draw unwanted attention to yourself and your weapon when you have to transport it, or are concerned about it being recognized should you be required to leave it in a viewable area of your vehicle, office, etc...these three cases may be right for you. More detailed information about their features can be found on their respective websites (see links below). 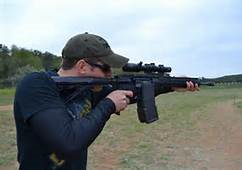 Thanks for reading our blog; if you have any questions about the AR-15 rifles we produce or the variety of parts we sell for your AR-15 at www.del-ton.com, please feel free to contact us. 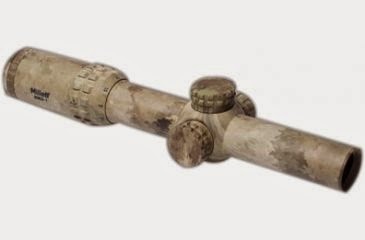 Due to the popularity of the AR-15 weapon platform in recent years, many manufacturers of rifle scopes have begun to design and market optics specifically for this weapon and the applications for which it is most often used. 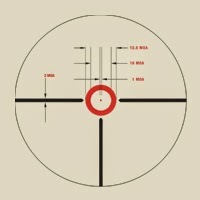 There are models with bullet drop compensating reticles specifically calibrated to the .223/5.56X45 NATO cartridge for hunting and other long range uses, some with illuminated CQB (close quarter battle) reticles for defensive or duty use or 3-gun competitions and other shooting sports, and others that have both of these features and can be used for just about anything you desire to do with your AR-15. 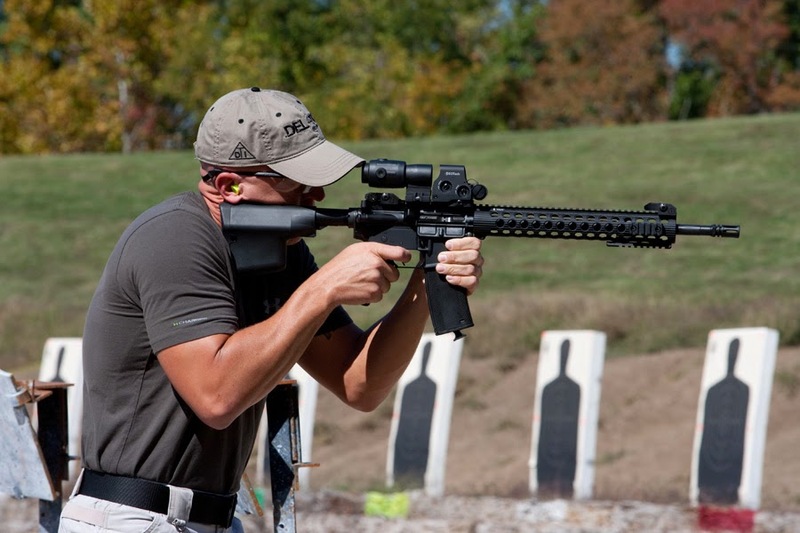 In this blog post, we will highlight a few different riflescopes that are designed for the AR-15 platform or are at least popular with those who use an AR-15. When I was younger, I remember reading an article in an outdoor sports magazine that suggested if you wanted a quality, dependable optic, you should be willing to pay twice what you did for your rifle. Doing so may ensure you own and use a quality scope, but I don't believe it's necessary. 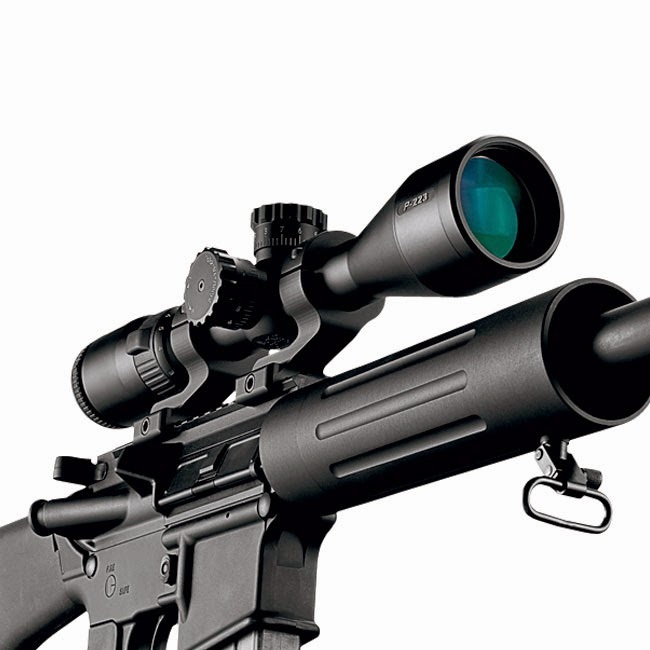 The rifle scopes described in this post have been specifically selected because much like the AR-15 rifles and components we produce at DTI, they are products where quality and value meet. Quality shouldn't be something you have to surrender for value, and the two characteristics do not need to be mutually exclusive. They aren't at DTI, and they aren't in these 3 AR-15 scope options. 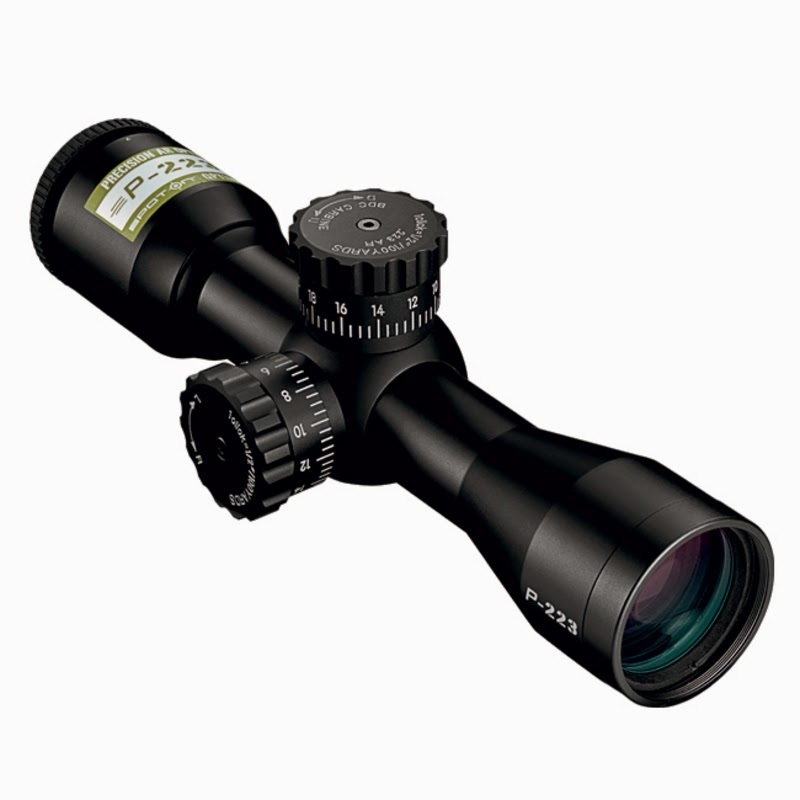 The least expensive scope models highlighted in this post belong to Nikon's P-223 series. There is currently a fixed power 3X32 model, and two variable power models in this line: a 3-9X40 and a 4-12X40. The fixed power 3X32 is a great, lightweight duty or 3 gun option. All three have bullet drop compensating reticles, and the variable power models are calibrated from 100 to 600 yards. Nikon also offers two mount/ring combinations specifically for these scopes and AR-15 rifles, and the Nikon Spot On (TM) ballistic software program available on their website and mobile devices is an amazing tool to help you realize the accuracy potential of your rifle. 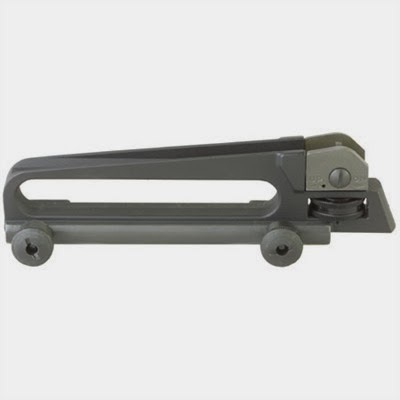 These high quality optic options from Nikon have an MSRP from $150.00-250.00. 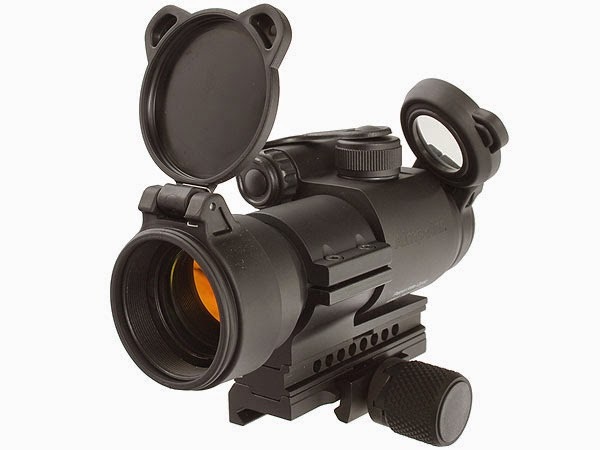 The Millett DMS (Designated Marksman Scope) line of optics are a bit more expensive, but the long range (up to 500 yard) capability in the DMS-2 model and an illuminated CQB reticle for fast target acquisition make for a feature-packed scope. The illuminated reticle is known as a "Donut Dot" and has 11 brightness settings; especially on the lowest variable power settings, keeping both eyes open during use is not difficult. There is a 1-4X24 and a 1-6X24 model, the former being available in black or ATACS camo, the latter having a ballistic compensating reticle. All 3 models weight just over 18 ounces, and have 3.5 inches of eye relief. The 30mm main tube also provides an excellent amount of light transmission and when coupled with the illuminated reticle, you have a great low-light AR-15 optic choice. 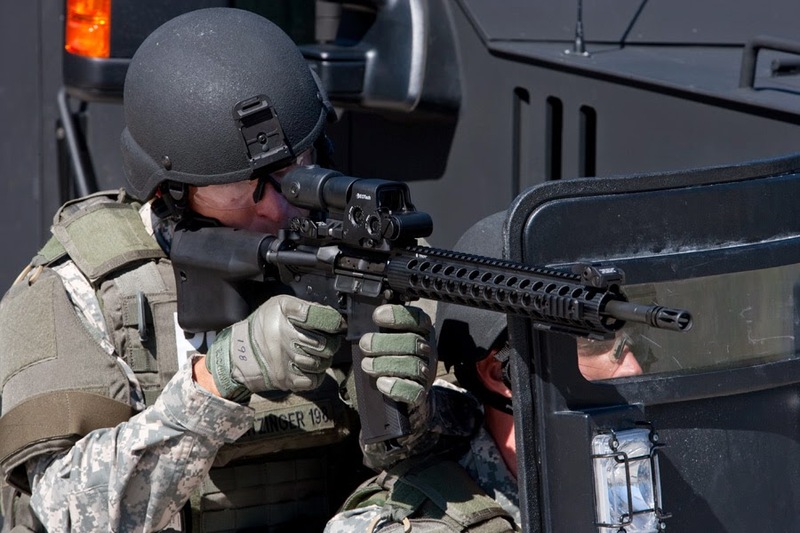 Like military grade scopes, these optics also have glass-etched reticles rather than wire, so you can depend on them when the environment and applications in which they are used gets tough. 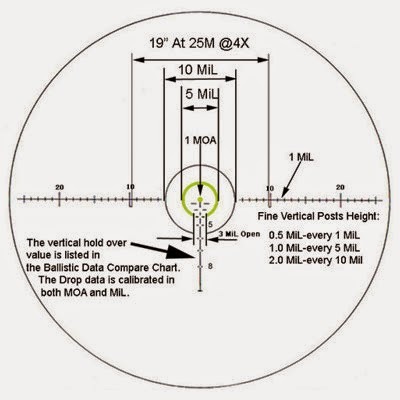 You should be able to purchase the 1-6X24 (DMS-2) model for under $400.00, and the 1-4X24 (DMS-1) model for around $300.00. 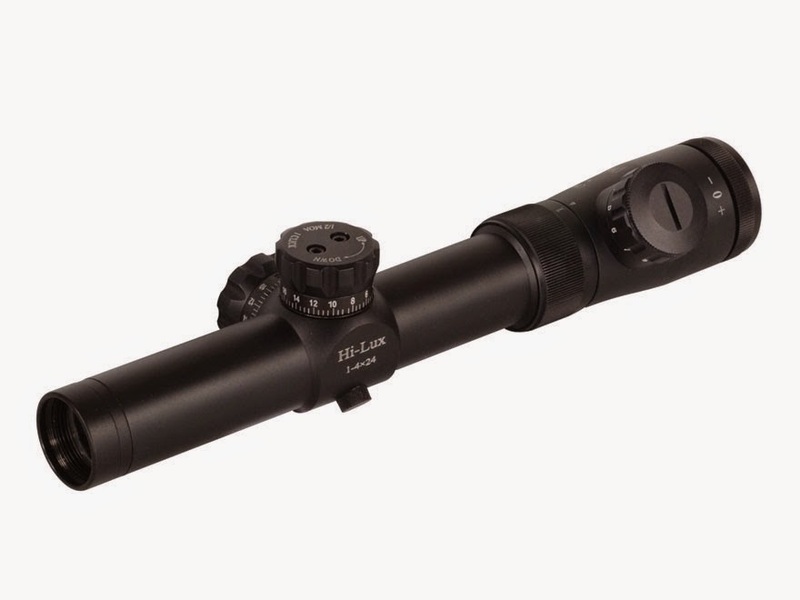 The Leatherwood Hi-Lux CMR (Close Medium Range) is a 1-4X24 variable power scope similar to the optic just described. Like the Millett models, it has an etched reticle, an illuminated reticle great for close to medium range applications, and ballistic drop compensating features. It is a few ounces lighter in weight than the Millett DMS models, but also has less eye relief (3" compared to 3.5", according to technical specifications on each company's website). The CMR is available with either a red or green illuminated reticle; if you prefer one color over another for your particular application, this may be a beneficial feature currently not available on the other scope models highlighted in this review. Either of the illuminated models should be able to be purchased for under $350.00. There are many other great optic options out there for the AR-15 rifleman, but these three seem to stand out from the rest, at least in terms of the characteristics mentioned at the beginning of the review. Here are 3 scopes, ideally suited for use on an AR-15 rifle that have an MSRP less than half of what the typical AR-15 rifle will cost. Paying double sure isn't necessary with these three optics...you CAN have quality AND value. Thanks for reading our blog. If you have any questions about the AR-15 rifles we manufacture or any of the parts we sell at www.del-ton.com, please feel free to contact us. 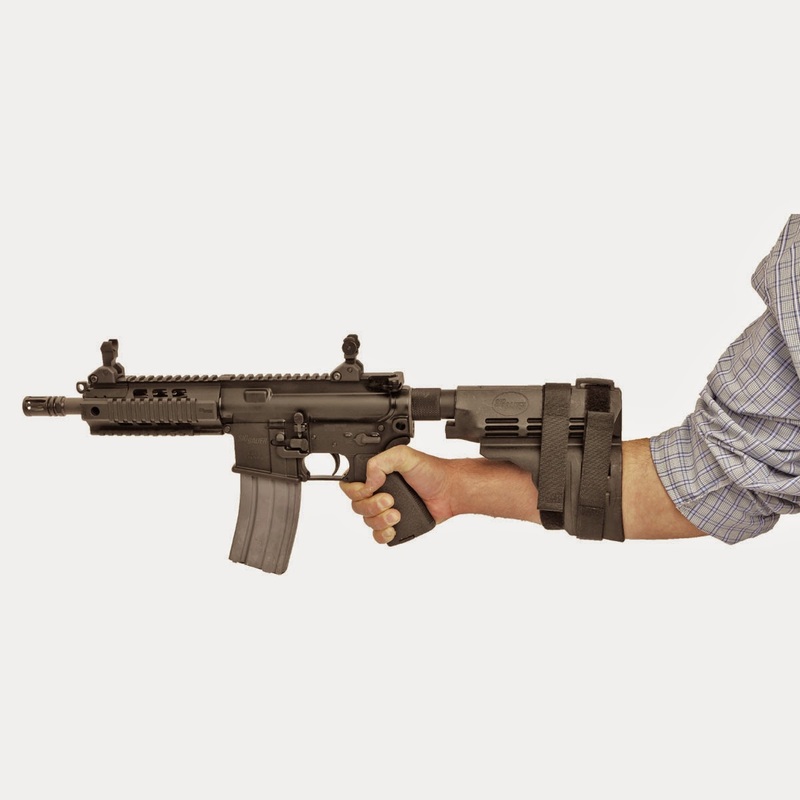 In our blog posts over the past couple of years, we have proposed that one of the greatest benefits and reasons for success of the AR-15 platform is its modularity. With a few minor alterations, a rifle designed specifically for competitive shooting can be easily transformed into a weapon perfect for hunting or defense. For the most part, the alterations we have mentioned have to do with peripheral parts, but the AR-15 even can even be converted to use different calibers. 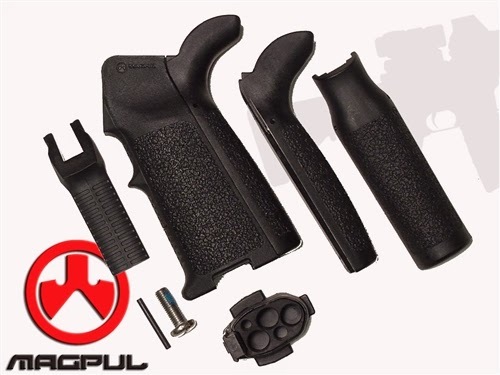 The most simple method of performing this "conversion" is to purchase an entire new complete upper assembly (and magazines if needed), and put this new upper assembly on to your AR-15 lower. I may suggest that this is the safest way as well...but more on that later. There are a variety of conversion calibers from which to select, but the most popular have been the 7.62X39, 6.8 SPC, 6.5 Grendel, and the .300 Blackout. For training and shooting fun, rimfire caliber conversions are popular, but less so now that rimfire ammunition is more costly and difficult to acquire. 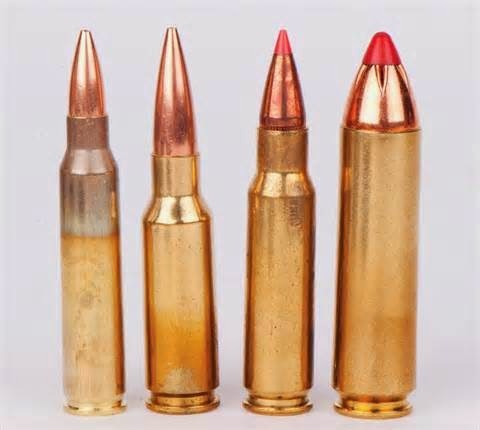 Much larger calibers like the .450 Bushmaster, .458 SOCOM, and .50 Beowulf are also options, but they have a very specific application and the same issues with ammunition cost and availability can affect the success or popularity of those calibers. 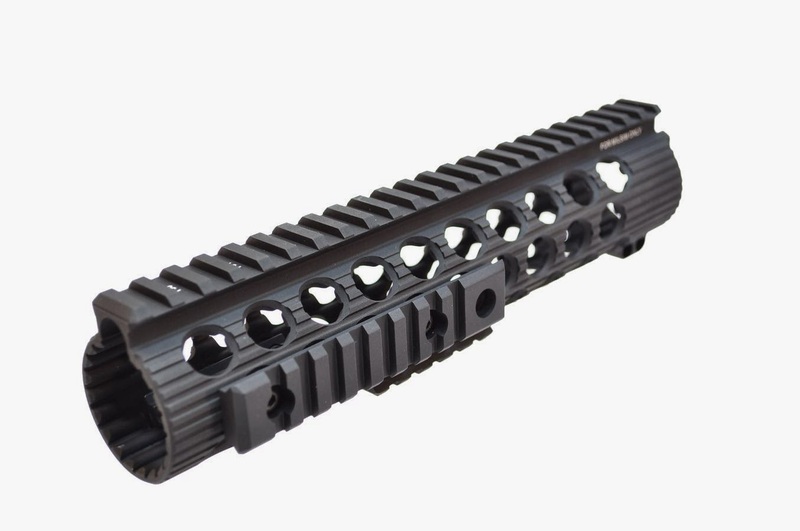 If purchasing a new complete upper assembly is not a cost effective option, one can disassemble their AR-15 upper and use many of the parts to build an upper in this new caliber. For the 7.62X39, 6.8 SPC, 6.5 Grendel calibers mentioned, a new BARREL (including muzzle device), BOLT, and MAGAZINE are required. The .450/.458/.50 offerings require a new barrel/muzzle device and bolt, but use the same magazine, albeit at a 60%+ drop in capacity. In reality, the upper receiver, bolt carrier, gas tube, firing pin, etc...are the few parts that you can use for the new caliber. 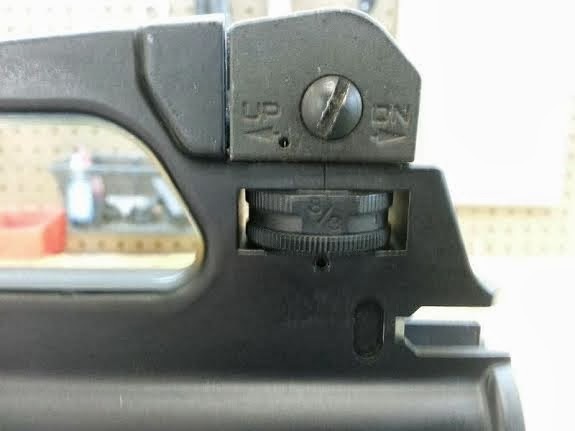 If a new barrel/muzzle device, bolt, magazine (s), and possibly other parts (buffer) are required, I stand by the premise that losing a 5.56X45 complete upper assembly is not worth any cost savings that such a modification would provide. We didn't skip the .300 Blackout, we saved it for last. This relatively new caliber uses the same (though modified) case as the 5.56X45 cartridge and offers a promising .30 caliber bullet option in an AR-15 size package without using a different magazine. 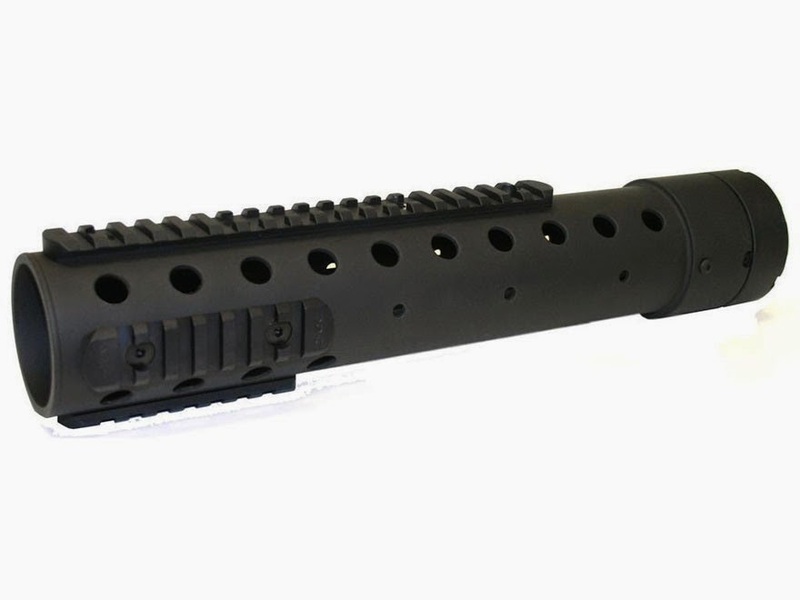 It uses the standard AR-15 bolt and magazine, but a new barrel and muzzle device IS required. Herein lies some risk for this particular caliber. Because it uses the same magazine and bolt and only requires a new barrel and muzzle device, BAD mistakes can happen. The .300 Blackout cartridge can be loaded into and fired in a 5.56X45 weapon, but SHOULD NOT BE. It will cause dangerous and potentially fatal results. Below is an image from such an event. Fortunately, the weapon was the only thing damaged. Almost all other conversion calibers require a new bolt and barrel, and maybe a new magazine. This particular one only requires a new barrel and muzzle device. There have been a number of negative experiences resulting from an individual with misinformation attempting to use this caliber in a standard 5.56X45 chambered AR-15 or having weapons chambered in both calibers and a dangerous mix of ammunition and magazines. 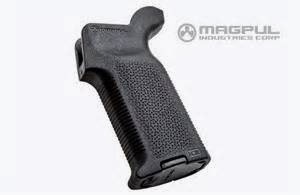 A magazine that you mark or specifically designated for ONLY one caliber is one way of helping to prevent a catastrophic failure of this nature, but an intent focus on safety is the only sure way to prevent dangerous situations when using firearms. Conversion calibers offer a definite benefit to many applications, but if not installed as a complete upper assembly or built on your current AR-15 platform and used with a focus on firearms safety, they do present a possible risk. My wife bought a new hair dryer a while back. It had an adhesive warning tag on the cord that stated in large font red lettering, "Not to be used in the shower" and "Not to be used while sleeping"...why were those warnings there? Because someone had used them in such a manner. 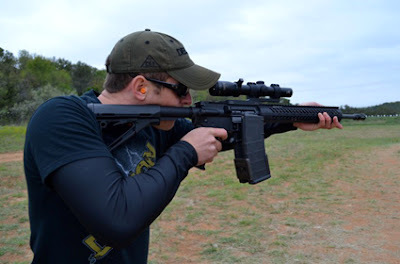 This blog post was not designed to be a definitive guide on AR-15 conversion calibers. The idea for and general purpose of it is to provide an online "adhesive warning tag" regarding conversion calibers and what you need for parts (at a minimum) to safely use them with your AR-15 rifle. The internet can be an incredible source of free and valuable knowledge. It can also contain information that lacks truth and is dangerous. This is what led to the negative, conversion caliber related event described and displayed above. The sheer volume of information online can be confusing, so when it comes to firearms safety, make sure the information is from a reliable source. Research. A lot. Thanks for reading our blog. DTI carries some parts for conversion calibers with more being added soon. Many of our current products exist because we listened to suggestions from our customers, so let us hear from you regarding what calibers in an AR platform you would like to see. If you have any questions about the AR-15 rifles we manufacture or the parts we offer at www.del-ton.com, please feel free to contact us.